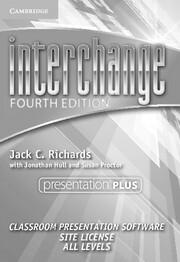 Interchange Fourth Edition, Presentation Plus Site License Pack, All Levels can be used on an interactive whiteboard, portable interactive software technology, or with a computer and a projector. With Presentation Plus, teachers can present the Student's Book, Workbook, or Video Activity Worksheets, play the Class Audio and the Video Program, and display scripts and answer keys. Presentation Plus tools allow teachers to mark up and add links to the components in addition to saving their sessions. In addition, it features the Interchange Arcade. 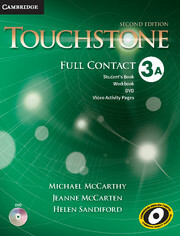 Teachers can also connect to Cambridge Dictionaries Online for reference and language support.